Riad Zaytoun Location. 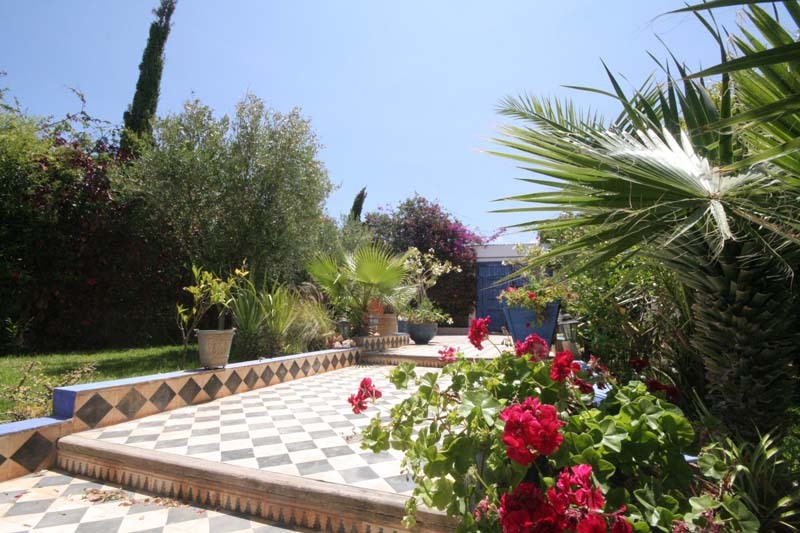 Book Riad Zaytoun Today with Hip Morocco - Holiday Accommodation in Oualidia, Morocco. 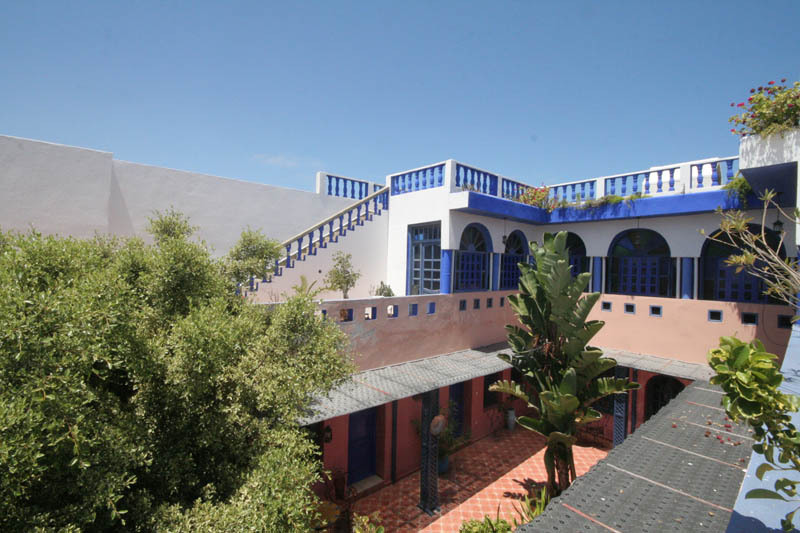 "Traditional Moroccan family style house in a locals residential area of Oualidia"
Riad Zaytoun is a home away from home, entering into a traditional Moroccan family life, with a good taste of what life as a Moroccan is like. The dynamic staff at Riad Zaytoun welcome guests cheerfully with a smile, when stepping into this humble yet grand secret Moroccan countryside house. The private entrance courtyard to Riad Zaytoun is lined with olive and small palms with 2 cosy group dining tables nestled in nicely at the back. 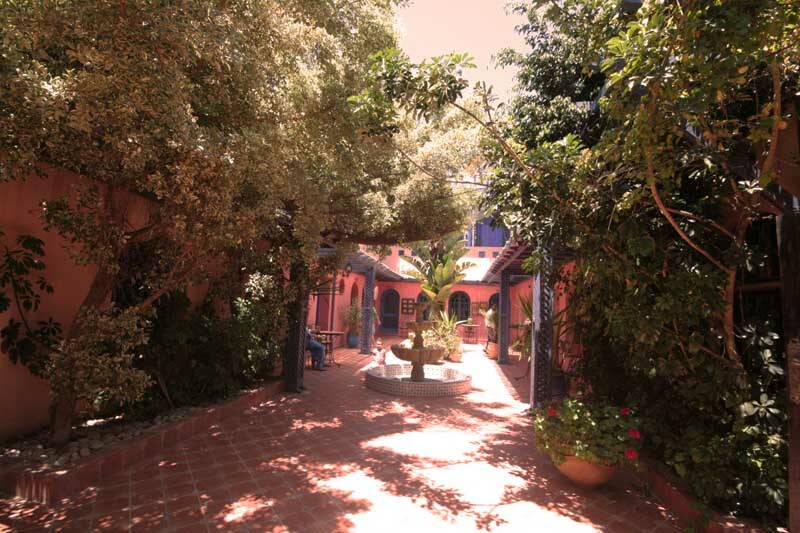 The central patio area is surrounded by bedrooms with a large fountain in the centre and small Moroccan tables with chairs around the outside covered intimately with Moroccan floor styled rugs and mats. Rooms are very much Moroccan in style, with the occasional unusual lavish furnishing but all in keeping with creating a basic traditional Mococcan experience. The bathrooms have been decorated with a mesmerizing display of traditional zelig tiling as is found in many locals homes around the lagoon town of Oualidia. The lower and upper roof terraces look out over the Oualidia countryside and town with small neighboring local dwelling either side. The lower terrace is populated with a large collection of potted plants, with the green leaved tree branches sprouting up from the ground floor patio area. Although no seating areas on the terraces, these are a nice place to enjoy a pre-meal sweet mint tea appetitive. Riad Zaytoun has two very traditional low benched Moroccan style salons, customarily reserved for large family gatherings or when important guest visit a Moroccan house. This gives guests at Riad Zaytoun a taste of what true Moroccan family life is like. 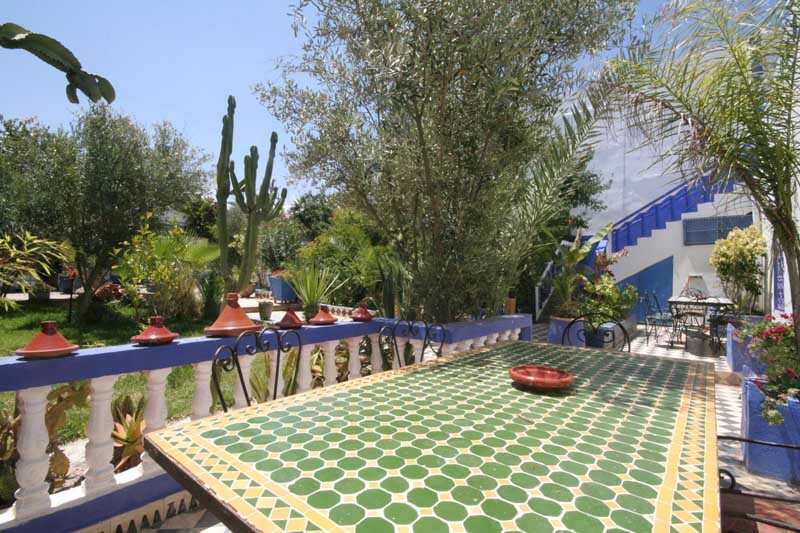 A small selection of permanent guests make this Riad in Oualidia and your stay in Morocco that bit more like a traditional family experience. 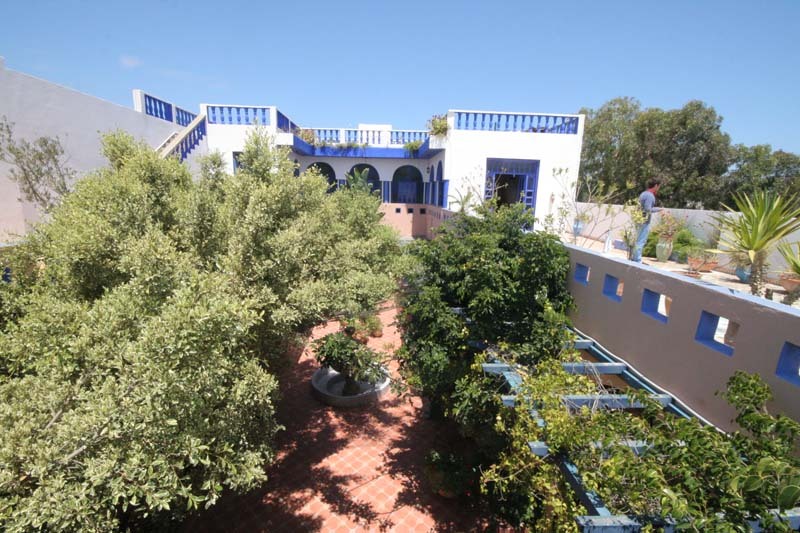 For a true sense of life in a Moroccan family, where all the world are brothers and sisters, Riad Zaytoun offers guests a wonderfully cultural stay in Oualidia. Breakfast is served on the sunny terrace or in the cosy lounge, depending on the weather. Khadija, the talented cook at Riad Zaytoun, is happy to prepare all sorts of Moroccan specialties, mixing fresh products and local spices for a truly memorable culinary experience. Enough notice must be given for evening meals. 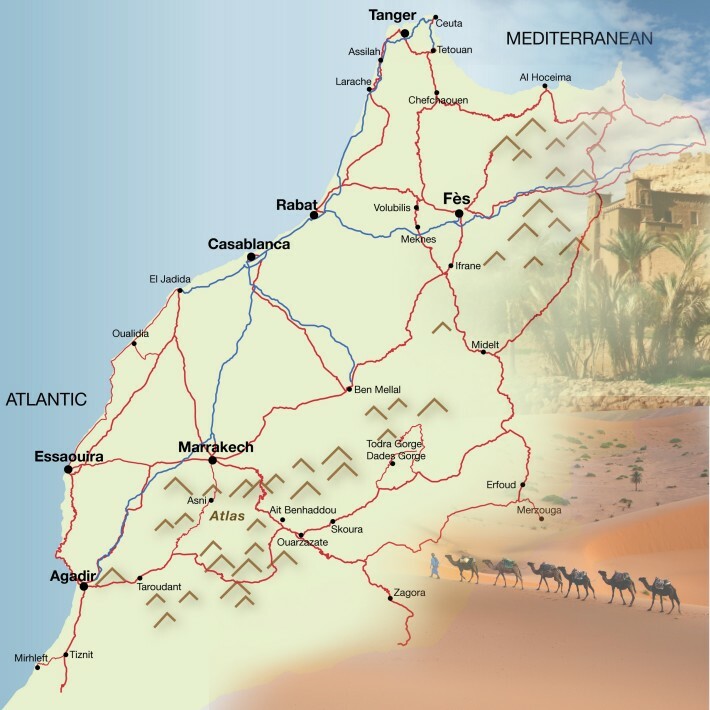 Riad Zaytoun offers the perfect setting to explore the rural surroundings of Oualidia. Below, a few suggestions of activities to liven up your stay by the lagoon of Oualidia. The team at Riad Zaytoun is happy to help you organise any of them, and more. 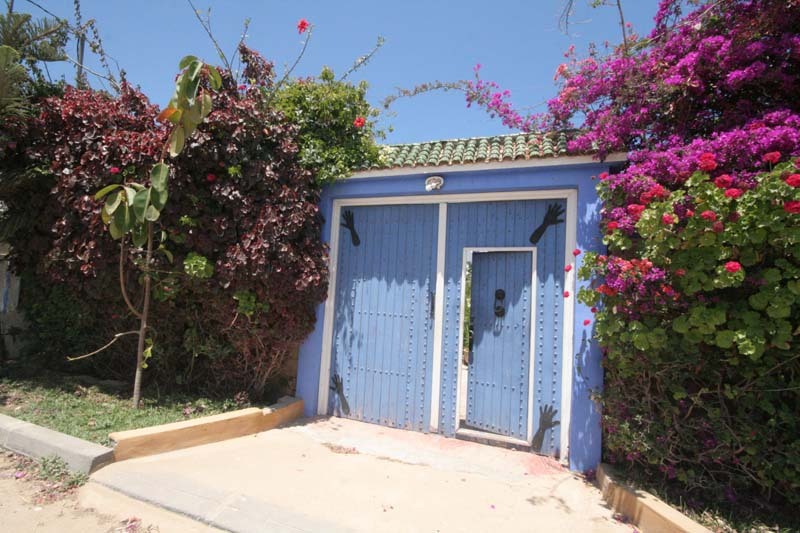 Located in a quiet residential street in Oualidia, a short walk from the main town. Oualidia lagoon is a 20 minute walk passing a number of local shops then down a quiter runway from the main road while you look out over the Oualidia lagoon. Neighboured by small local dwellings in basic Moroccan humble style but only adding to the charm of the area and Riad Zaytoun. The Bidawia room has a grand Moroccan double bed with large wooden headboard, alongside an imposing wooden wardrobe with full frontal mirror. The L shaped salon seating area for 4 people is accompanied by small table and Moroccan rugs around the room. 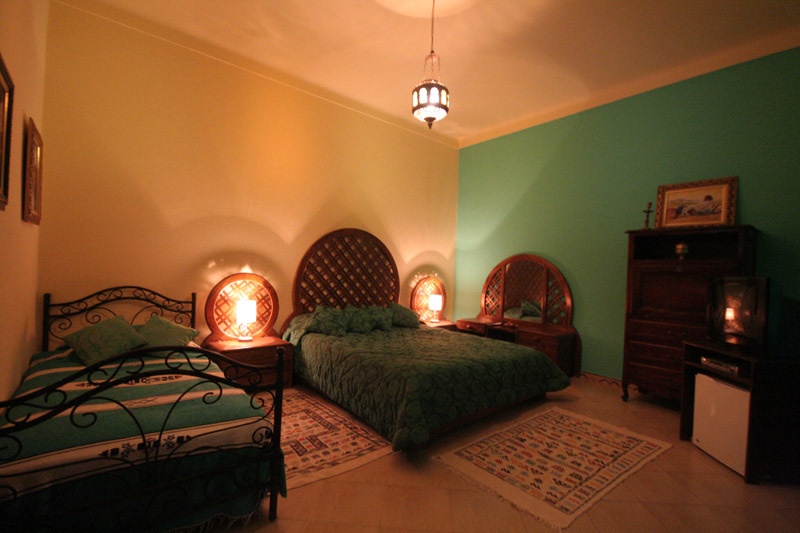 The walls at this room in Riad Zaytoun are furnished with an interesting selection of Moroccan artwork. 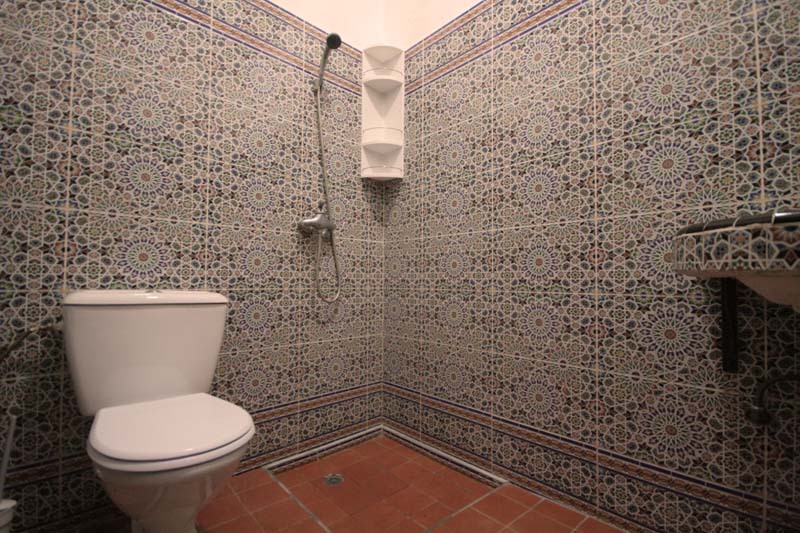 The Bidawia bathroom at Riad Zaytoun is large, with hypnotic traditional Moroccan zelig tiled walls. The large grand Moroccan styled shower sits at the back of the bathrooms. 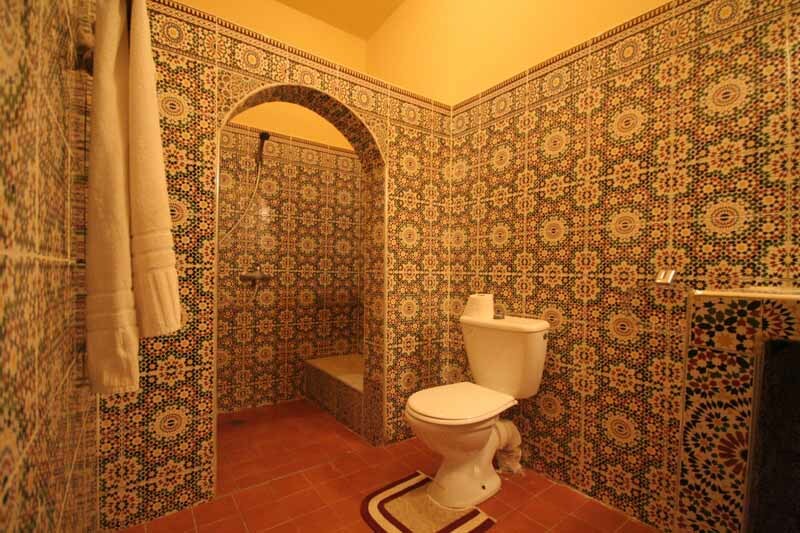 The Bidawia bathroom is basically furnished but gives guests a true sense of a traditional Moroccan family home. 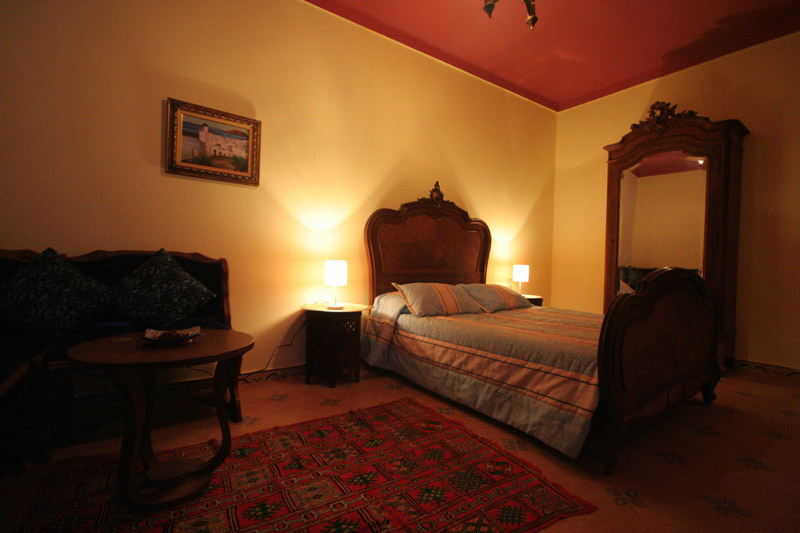 Chtoukia Room at Riad Zaytoun has a large double and single bed, in the style of a luxurious grandparents house, with rickety furniture but only adding to the local Moroccan charm of this room. The walls are furnished with interesting Moroccan artwork, along side a small dressing table and Moroccan rugs on the floor. This room has a tv/ dvd and minifridge. 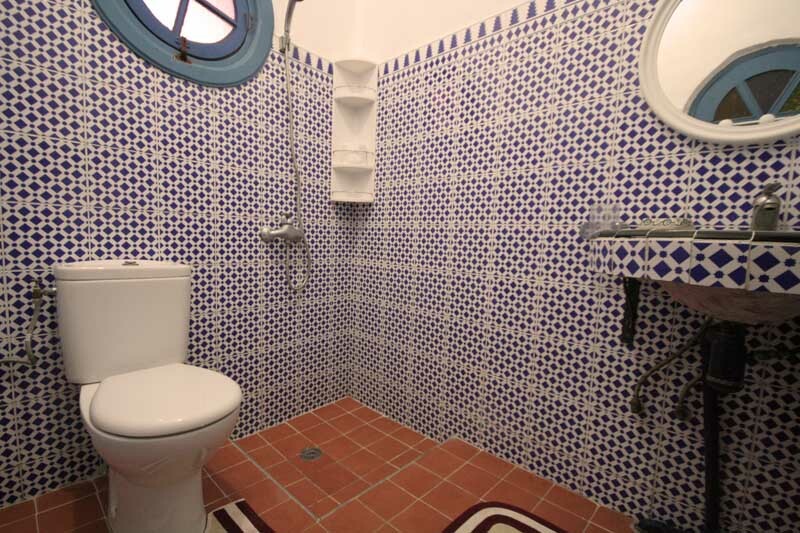 This bathroom at Riad Zaytoun is decorated in an enthralling blue and white Moroccan tiling. 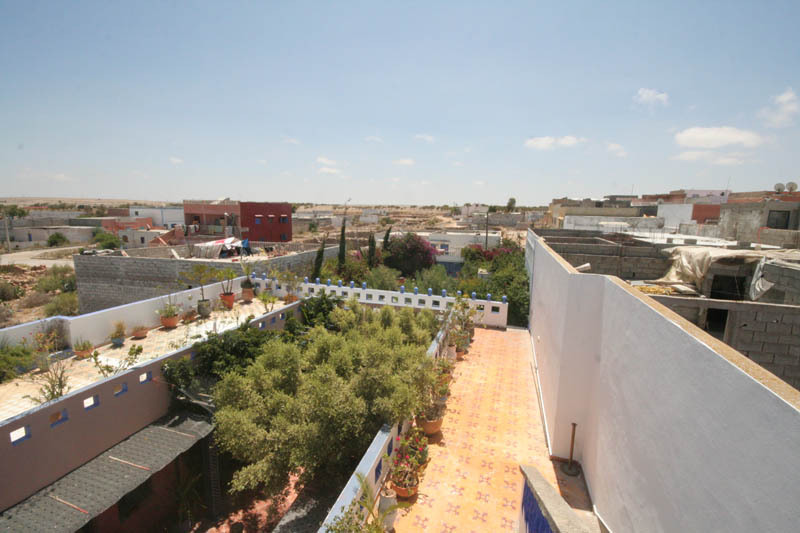 The bathroom is a good size, simply furnished and with a Moroccan styled in room shower. 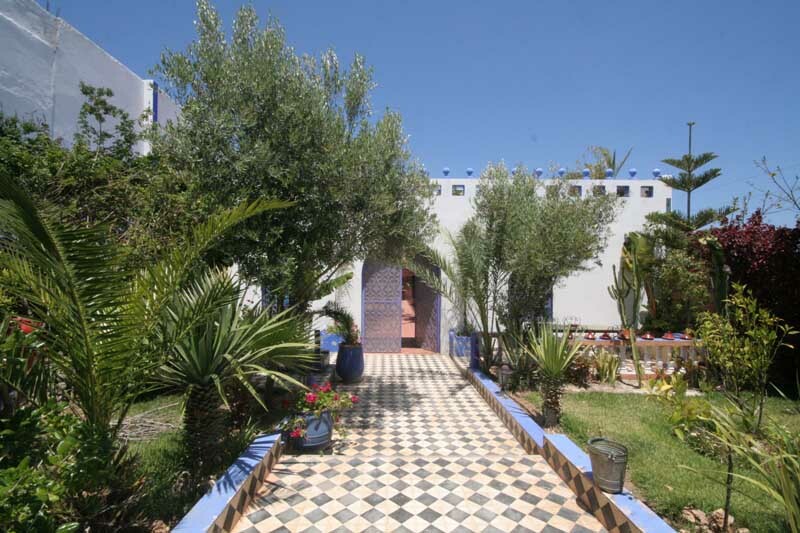 Perfect for a small family holiday in Morocco to discover what a true traditional Moroccan family house is like. 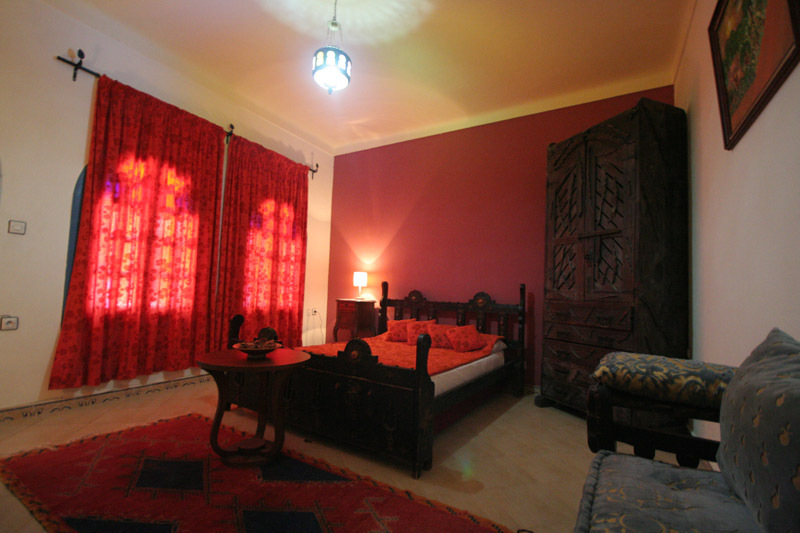 The Sahraouia room is a spacious room at Riad Zaytoun with a large oversized traditional Moroccan antique wooden bed frame alongside a beautiful rustic African antique wardrobe with chain handles in a raw style. 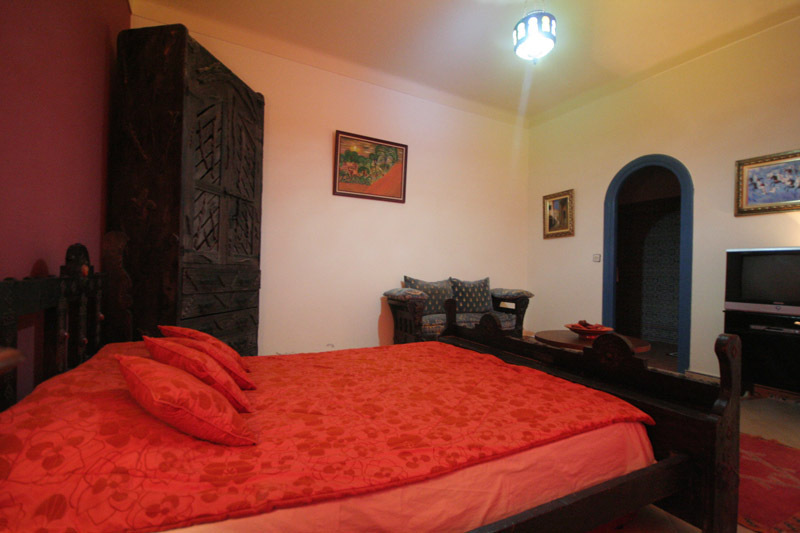 This room at Riad Zaytoun comes with a small seating area with antique wooden sofa for 2 with table. The window and door arches are painted the Oualidia blue and white giving this room at Riad Zaytoun a more local nautical feel. 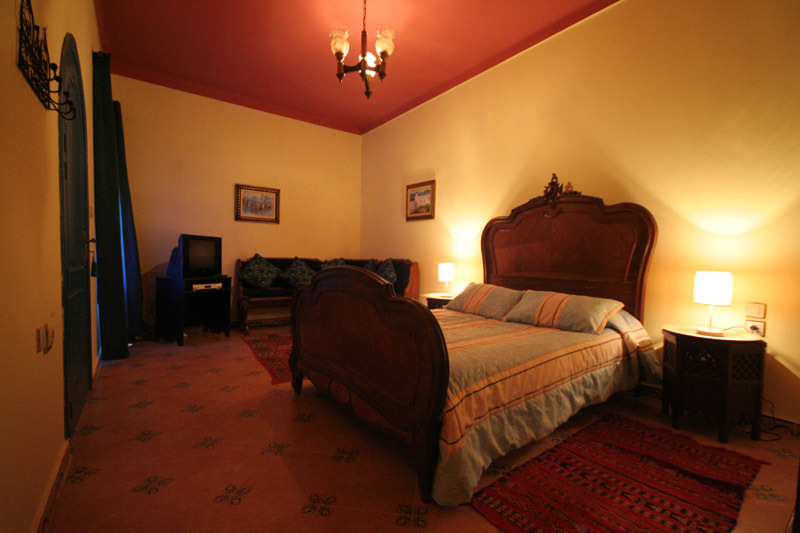 The Sahrawia room has a spacious, uncluttered and luxury Moroccan feel. The cosy bathroom has wonderfully intricate zelig tiling and is designed as a shower room with shower in the corner. 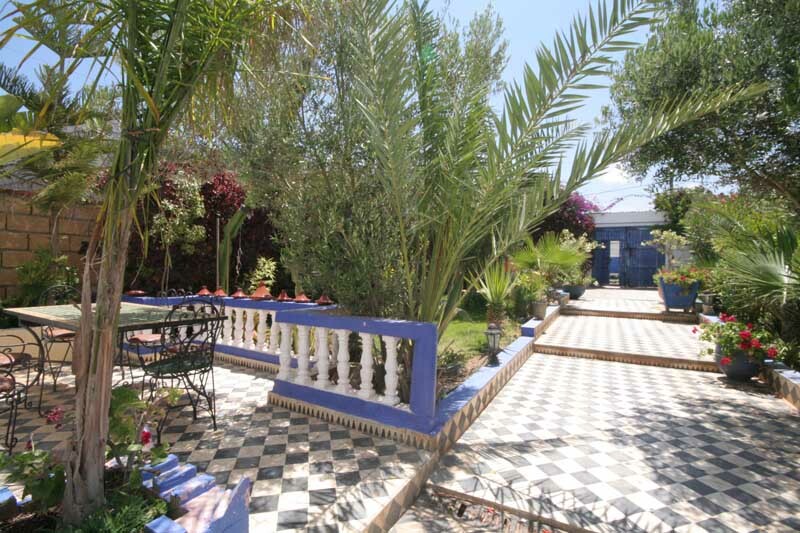 Perfect for a romantic holiday in Oualidia, where guests can experience real local life and surroundings. 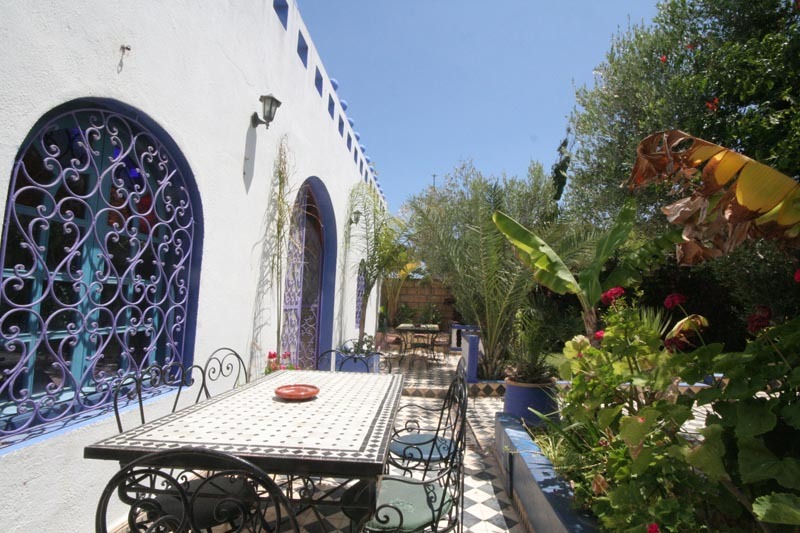 The base rate price at Riad Zaytoun is in pounds, euros, or Moroccan dirhams and exchange rates are approximate.